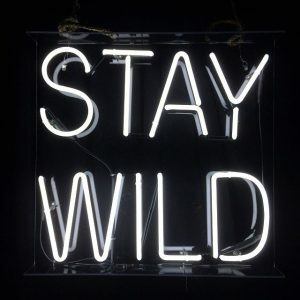 Hello, wild people! How are you? Lately, we’ve been very busy organizing tours, improving on logistics, consolidating partnerships and overall improving as much as we can Amazon Experience for you. To be able to welcome visitors from all over the world to Iquitos, and show them the beauty and magic of the Amazon Rainforest, it’s truly a blessing for us. Since the end of 2016, we are equipped with a solar panel and a solar battery for our expeditions. 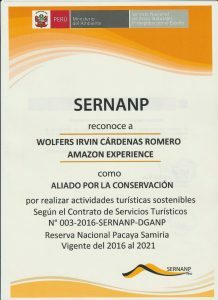 This is a starting point for us in our journey towards more sustainable tourism practices in the Amazon. It also facilitates things for our visitors, making for them easier to charge their cell phones, cameras or video cameras while in the jungle. We strongly believe in supporting organizations that are committed to the environment. That’s why we decided to be part of the Roots program and support the work that Rainforest Trust does protecting areas around the world for endangered species. We are super happy with your feedback! As of today, we have over 55 reviews in English, Spanish, French, German, Italian and Greek. We believe in taking an active part when it comes to seeking feedback from our visitors, and we really appreciate the time everyone that gave us their honest opinion put into it. 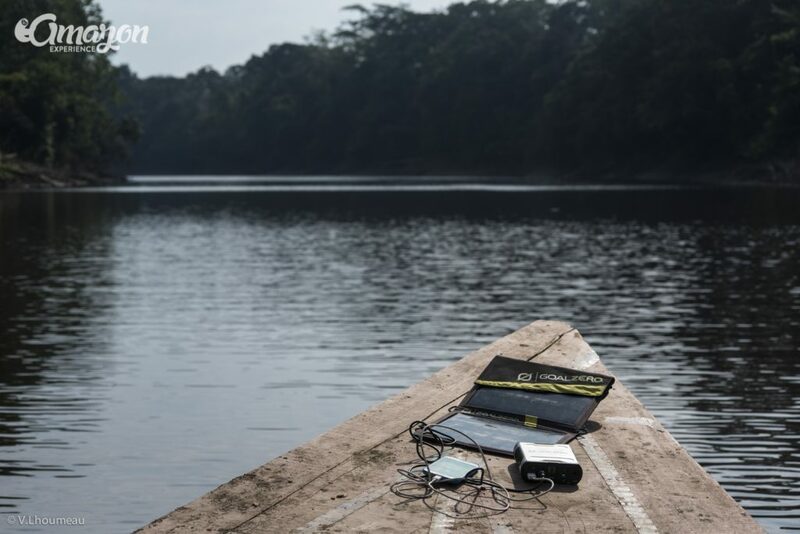 We will keep adapting, learning and optimizing along the way so we can offer you the best experience in the Amazon jungle. That’s our commitment. You can check our TripAdvisor profile here. Our Facebook community keeps growing, more than 11.000 friends! 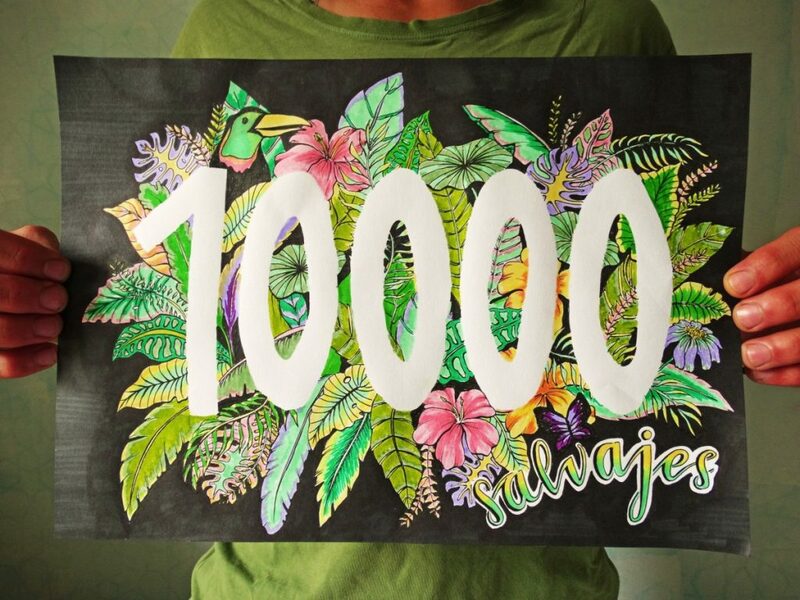 Not long ago we celebrated our 10.000 friends in Facebook with a giveaway. Thanks to all of you who participated. If you wanna see some pictures of Amazon adventures, see what we are up to or engage with us just jump in! Partnering with Santa Maria de Fatima. At the end of March of this year, we started working together with the Santa Maria de Fatima community. 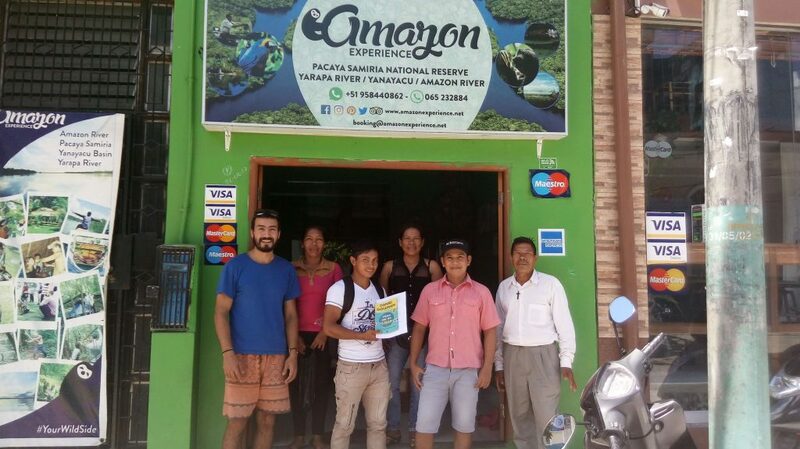 This community, composed of around 65 families, started developing an ecotourism project in conjunction with NGO “Naturaleza y Cultura Internacional” to protect the biodiversity of the area while at the same time create jobs for the local community. 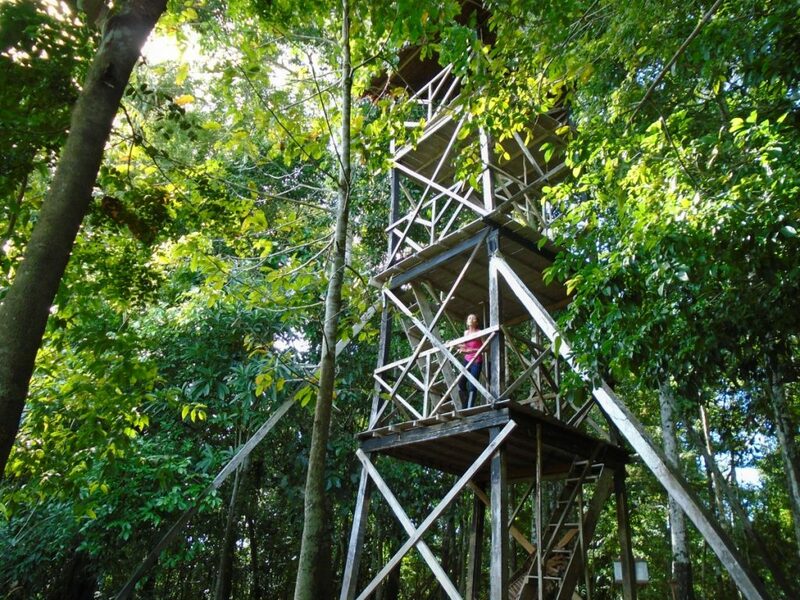 They have built a massive 3-floor wooden tower in the heronry (Garzal) to look for wildlife and enjoy the landscape. This view only gets better when you are standing there. If you wanna visit them you can do so in our 3d/2n, 4d/3n or our new 5d/4n tour for the Amazon river itineraries. This year we received the LTG “Service Excellence” 2017 award. We felt great! *high fives*. You can find more details in this post along with our own definition of luxury and luxury travel here. We started accepting payments for any of our tours using Bitcoin or other cryptocurrencies like Ethereum, Litecoin, DASH, Lisk, Ark, PIVX, among others. If you wanna see a list of all cryptocurrencies supported please check our FAQs or contact us directly. Pay your Amazon tour with Bitcoin! 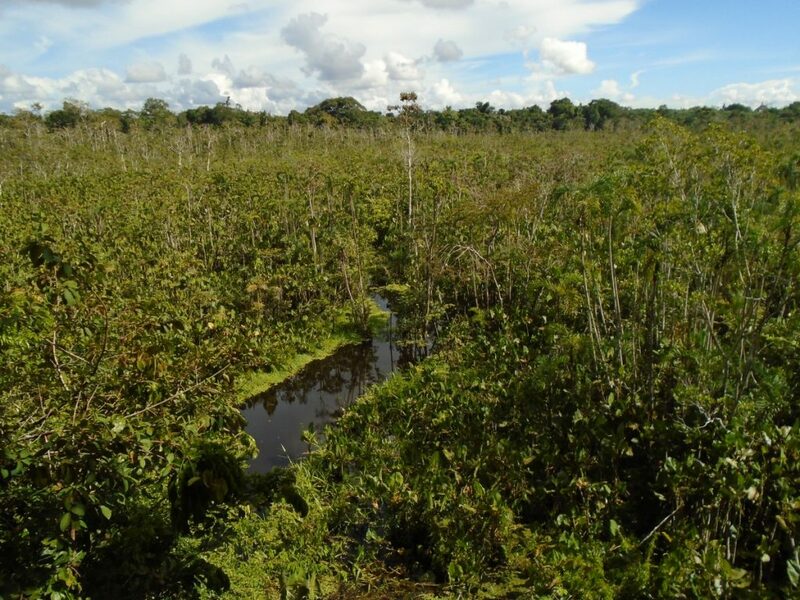 We’ve been adding some common questions we receive from people wanting to visit Iquitos and the Amazon Jungle. Here you can check the FAQs (Frequently asked questions). Also, we added our new tour 5 days/4 nights on the Amazon lodge, with one more day focused on deep Amazon jungle trekking and survivor skills. All in all, we are delighted! Stay tuned for more posts, we have a couple of interviews in the oven, like the one we did with Don Julio and some exciting things coming up later this year. Thanks again for all your support, you really make us love our work. Peru tourism has been growing steadily over the years, welcoming millions of visitors each year. Wanna know why? Short answer: Peru is awesome. It has three different areas to visit: Coastal, Andes, and Amazon, each one with its own unique landscapes, wildlife, cultural backgrounds, gastronomy, etc. Peru tourism is based mainly on Cultural tourism and Ecotourism. Having the third largest extent of tropical rainforest in the world (after Brasil and the Democratic Republic of Congo) makes Peru a paradise for those looking out for wildlife spotting and flora appreciation because of its biological diversity. Peru tourism: How many people visited Peru in the last few years? One image speak for a thousand words. Over 4.500.000 visitors to Peru in 2016. That's around half the population of Austria or Sweden, for making a comparison. From which countries visitors came to Peru in 2016? We receive visitors from all over the world. They come mainly for vacations, holidays and to explore all the hidden treasures that Peru has to offer. 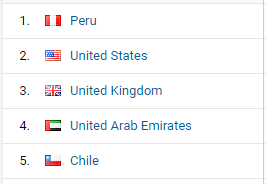 In 2016 the main top 15 countries from where visitors came to Peru were: Country Number of visitors in 2016 1 Chile 1.075.079 2 United States 572.595 3 Ecuador 288.930 4 Colombia 179.260 5 Argentina 176.638 6 Brasil 146.947 7 Spain 140.705 8 Bolivia 133.603 9 France 97.889 10 Mexico 83.009 11 Germany 75.915 12 United Kingdom 70.808 13 Canada 69.330 14 Italy 65.333 15 Japan 54.878 Where do visitors go in Peru? Most of the visitors coming to Peru arrive at Lima (or visit it during their stay), being around 90% of the total. The second most visited city is Cusco, with over 80% of the total. Can you guess how many tourists visit Iquitos, located in the Amazon rainforest? You are in for a surprise: The answer is around 5%. Peru tourism has been growing steadily over the years, welcoming millions of visitors each year. Short answer: Peru is awesome. It has three different areas to visit: Coastal, Andes, and Amazon, each one with its own unique landscapes, wildlife, cultural backgrounds, gastronomy, etc. Peru tourism is based mainly on Cultural tourism and Ecotourism. Having the third largest extent of tropical rainforest in the world (after Brasil and the Democratic Republic of Congo) makes Peru a paradise for those looking out for wildlife spotting and flora appreciation because of its biological diversity. 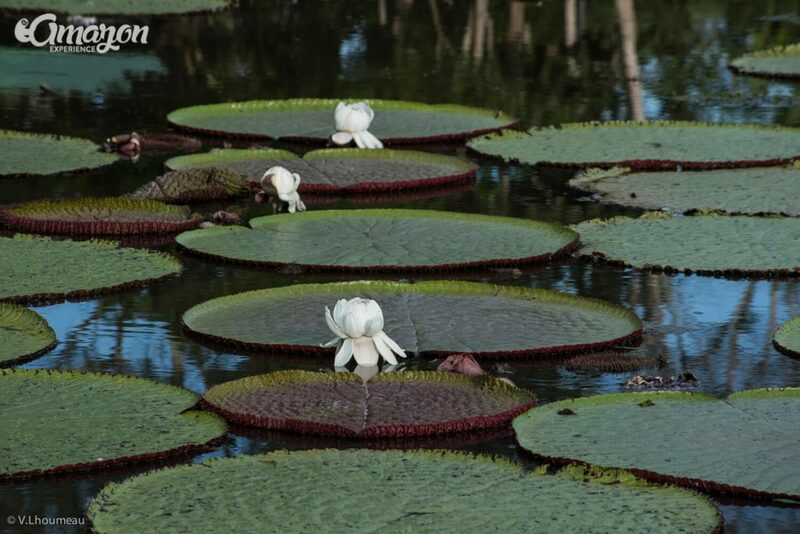 Victoria Amazonica, biggest water lily on Earth. Peru tourism: How many people visited Peru in the last few years? One image speak for a thousand words. Over 4.500.000 visitors to Peru in 2016. That’s around half the population of Austria or Sweden, for making a comparison. From which countries visitors came to Peru in 2016? 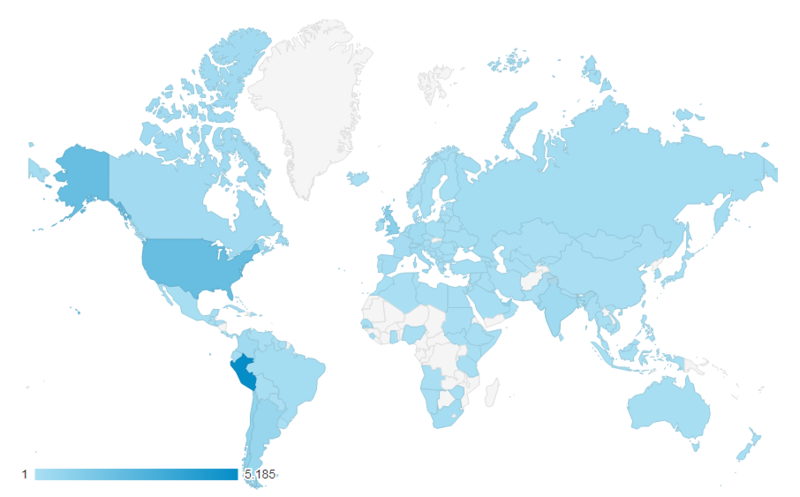 We receive visitors from all over the world. They come mainly for vacations, holidays and to explore all the hidden treasures that Peru has to offer. Where do visitors go in Peru? Most of the visitors coming to Peru arrive at Lima (or visit it during their stay), being around 90% of the total. The second most visited city is Cusco, with over 80% of the total. Taking a look at these images and with the above information in mind… Where would you go if you wanna get away from the crowds and explore some off the beaten path destinations? Visiting Iquitos as a gateway to exploring the Amazon Jungle can be an excellent option for those looking out for adventure, boat rides, and wildlife viewing. Are visitors satisfied after coming to Peru? The definitive answer is Yes. A satisfaction rate of 94% has been reported for visitors after their stay in Peru. This is how Satisfaction looks like in the Amazon Jungle. The growing number of visitors coming each day to Peru, being highly satisfied with their choice, is a reflection of all the things this country has to offer. There are many different areas to explore (with varied geography, weather, flora, and fauna), many activities to do and many things to learn. It doesn’t matter what kind of traveler you are: Backpacker, businessman, honeymooner or part of a big family. You will surely find something for your taste. In short: Come to Peru, you will not be disappointed.